I will start with the easiest of the manufacturers for me as part of my normal day job which is to interface with this factory, CW Sonderoptic, the home of the Leica Summilux-C and Summicron-C primes, on a daily basis. The Leica Summilux-C lenses are limited production, high-performance T1.4 Primes that recently received the Oscar for Scientific and Technical Award for optical designer Iain Neil and mechanical designer Andre de Winter. Until now the widest lens in the set was an 18mm and the longest was the 100m. Although the expansion of this set has been rumored for some time it is finally happening. The current set of ten primes has been expanded to twelve lenses with introduction of the 16mm and 135mm Summilux-C primes. As with the other lenses in this family Otto Nemenz has received the first of these lenses but these new additions will be available to the open market by early summer. The Leica Summicron-C lenses have also had an addition to the original set of six lenses. All of these additional lenses are T2.0 as are the originals in the set. The new focal lengths are the 21mm, 29mm and 135mm. Although the physical length of the lenses may vary the iris and focus gears all maintain the same position and spacing. This is true between the two sets of lenses, the Summilux-C and Summicron-C. Although slightly off topic, Leica Camera has introduced a Leica M camera with a PL adapter. The adapter uses an integral base plate that attaches to the M mount and the baseplate of the camera to support the weight of the heavier PL mount lens. The camera shoots stills or video making it a great addition to the kit for those who want to use it as a director’s finder or a location scout tool. Cooke’s introduction of the Anamorphic/I primes last year was one of the big stories of the year. Not only are they delivering the first five of the set (32mm, 40mm, 50mm, 75mm and 100mm), they have introduced and are scheduled to ship two additional lenses to the set with the addition of the 25mm and 135mm. 180mm and 300mm primes will be added to this family later this year. This set of 2x anamorphic lenses has proved to be fast and sharp, but to me the limited breathing of these lenses was the biggest surprise when reviewing these lenses compared to the older anamorphic designs I had experienced. Cooke also announced a new Anamorphic/I zoom lens. Like the Anamorphic/I primes the zooms will be a front anamorphic design. 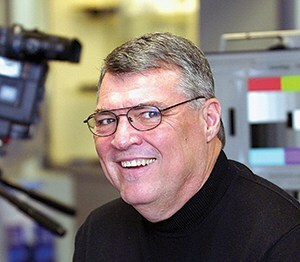 Cooke Chairman, Les Zellan, only indicated that the zooms would be in the tradition of the Cooke 5:1 and 10:1 zooms of the past. 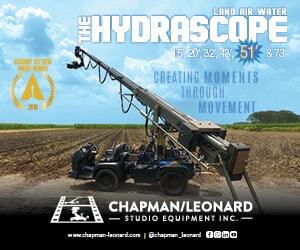 Further information will follow with other announcements for this family of lenses, expected at CineGear Expo. Cooke also announced that Zeiss will be incorporating the /I technology in future designs. Considering that Zeiss has its own LDS system this is interesting news. 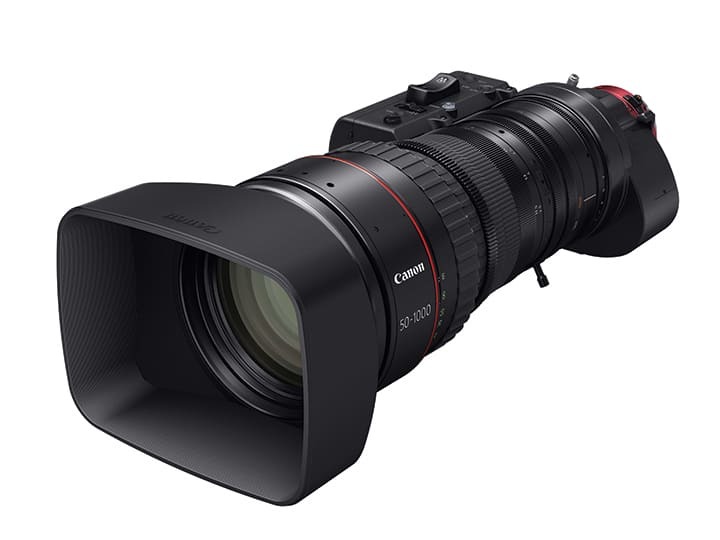 The /I system has won over many manufacturers in recent years including Canon which launched the Cine-Servo 50-1000mm lens at NAB featuring the /I system. 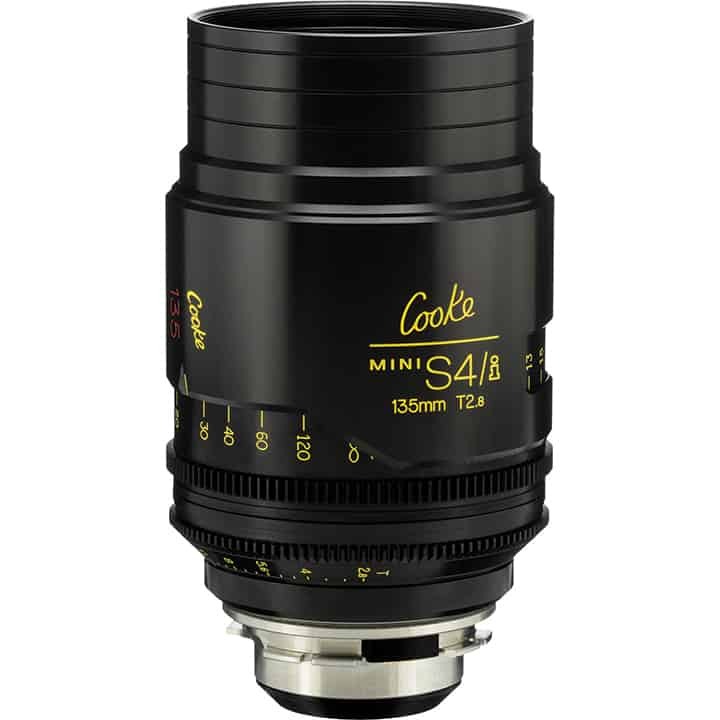 At NAB Cooke also showed their family of Cooke 5/I, S4/I and the increasingly popular Mini S4/I lenses. Zeiss showed their whole family of lenses at NAB including the Otus high-end SLR lenses and Loxia E-mount full frame lenses. The latter may be of interest to those that have purchased or are looking at the Sony line of E-Mount cameras. I have tested the Zeiss E-Mount with very good results. The Zeiss/Arri Master Anamorphic lenses, as with all anamorphic lenses it seems these days, were getting considerable attention from the attendees although they have been around a while. The other Zeiss/Arri lenses the Master Primes and Ultra Primes really had nothing new so they were just there for the viewing. What seemed to be getting the attention were the Compact Primes and Zooms. The CP.2 family has become very strong in the entry level of PL primes. The CP.2 family of primes has interchangeable mounts that make them very versatile and the cover a very large image circle. Zeiss is finally filling the backorders for the wide CZ.2 zoom the 15-30mm. The family of compact zooms has become very popular due to their compact size and according to Zeiss 4K performance. This aspect of the lens I have not been able to test so we will take Zeiss’s word on this for now. Like the CP.2 these lenses will cover a full frame still image circle making them popular with the modified DSLR market and the Red Epic Dragon market. NAB was the first showing of the second anamorphic zoom for Angenieux, the 30-72mm. The original 56-152mm has been shipping and being used but adding the wide companion will increase the appeal. These are 2x anamorphic lenses that are fairly compact in size, both fall in the 5 pound category. They come standard as PL mounts but PV is available on request. Unlike the other offering from other manufacturers that I have mentioned these are rear anamorphic designs. This design creates minimal distortion and virtually no breathing. 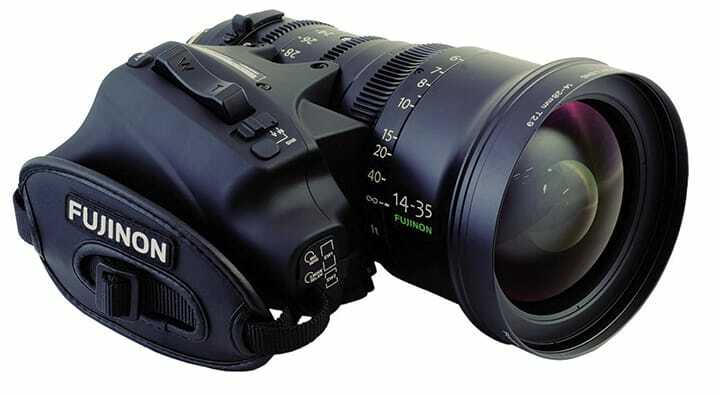 Fujinon has filled a need for those remote truck customers that are going to 4K with cameras such as Sony’s HDC-4K. These cameras and lenses are based on the 2/3” format like the previous HDC HD cameras. The UA22X8BERD is a 22X zoom for handheld cameras providing a range from 8 to 176mm and has a 2X extender built in which extends the focal length to 16 to 352mm. The normal aperture is f1.8. The studio camera or cameras in buildup kits can use the box lens of this family, the A80X9BESM. This 50lb. giant will provide focal lengths from 9 to 720mm, or if using the 2X extender it can go out to 1440mm. Fujinon began the cine servo line of PL lenses with the Cabrio which is now a three lens family of lenses that cover 14mm to 300mm. The Premier line of 4K lenses are now a family of four lenses that cover from 14 to 400mm with T stops ranging from T2.0 to T2.8. Although large in size I consider these some of the best zooms on the market. Canon has been providing quality PL and EF Mount zooms for some time. They basically have four families of Cine lenses. EF Mount primes, full size zooms available in PL or EF Mounts, compact zooms in EF or PL Mount, and the new Cine-Servo EF or PL Zooms. The Cine–Servo 17 to 120 zoom was introduced last NAB and has become very popular as it is a little wider and a little longer than the competition. This is an ENG style PL lens with handheld servo that is compatible with cameras using the /I system or have a 12 pin lens port. If you have neither , you can power the lens servo using 12 Pin Hirose female connector cable but you lose auto iris capability. This lens is also available in EF mount. The new addition to this family is a big lens that will require lens support to use on most current cameras. It is the Cine-Servo 50 to 1000mm lens. Like its little brother it has a full servo system in the grip and comes in PL or EF mounts. Schneider Optics Cine Xenar III primes lenses are priced reasonably while providing a high level of performance. These lenses are available in PL or EF Mounts and come as a set of six ranging from 18mm to 95mm. All of these lenses fall between T2.0 and T2.2 and are very telecentric which makes them perform well with today’s electronic cameras. The image circle is 31.5mm which makes them good for most of the current super 35mm based cameras. Due to the increasing size of image sensors used by some of today’s camera manufacturers Schneider has introduced and are delivering their line of Xenon FF prime lenses. These lenses provide a full 45mm image circle to cover the full frame image sensors of the DSLR cameras such as the Canon 5D or Nikon D800. The Xenon FF lenses are fully 4K capable and are available in Nikon F, Canon EF and PL mounts. Current focal lengths range from 18mm to 100mm as a set of six lenses and all are T2.1. This is a brief synopsis of what I was able to see at this year’s NAB with the current market for lenses. I did see a large increase in companies providing rehoused photographic lenses but I did not have room to cover this group of products. As always fill free to contact me if you have questions on the products featured in this article. Jeffrey Cree, SOC, Vice President Technical Services, Band Pro Film and Digital Inc.
Jeffrey Cree is a multiple Emmy Award-winning Video Recordist/Cameraman with 17 years experience at ABC Television Network as a member of the engineering unit prior to moving to Sony Electronics. Jeff worked primarily with the product marketing and management groups of Sony with his focus being Acquisition Systems. Since joining Band Pro Jeff has continued to provide input to the product development groups at Sony and other manufactures on current and upcoming products.